Today, the tiny rice rolls are literally on everyone’s lips. 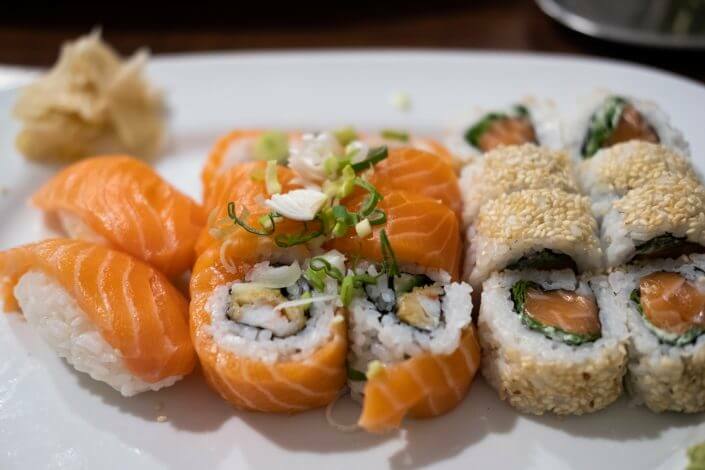 Sushi, Japan’s national food, is enjoying increasing popularity around the globe – hardly unsurprising, given its healthy, low-calorie ingredients: vinegared rice, fish, and nori (dried and roasted seaweed). 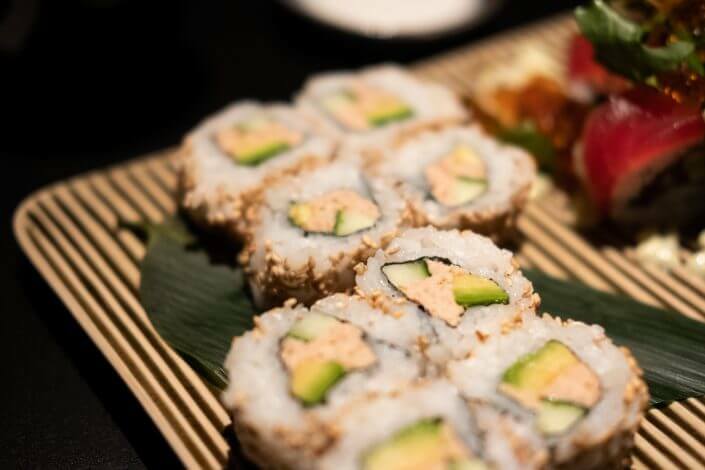 It’s also a popular food in Cologne, where right now there’s a sushi joint on practically every street corner, particularly in the city centre. 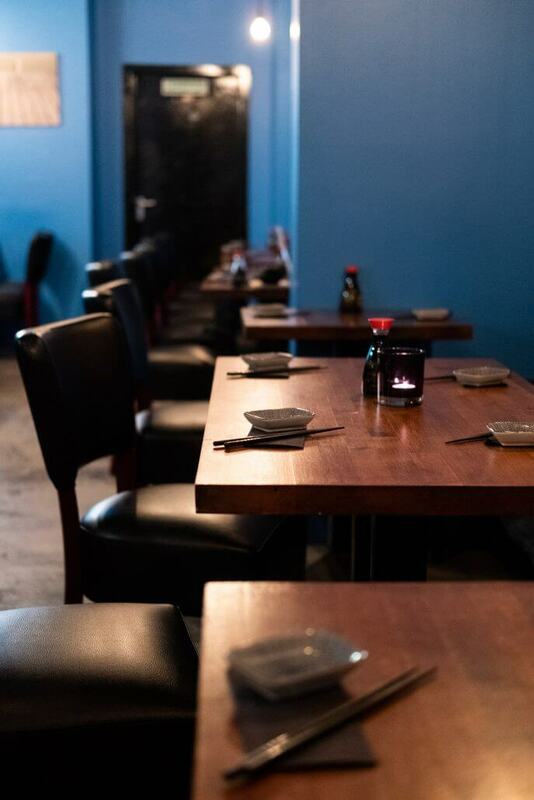 In this article, I pick out some of the city’s sushi hotspots that stick out due to price, innovation, location and authenticity. 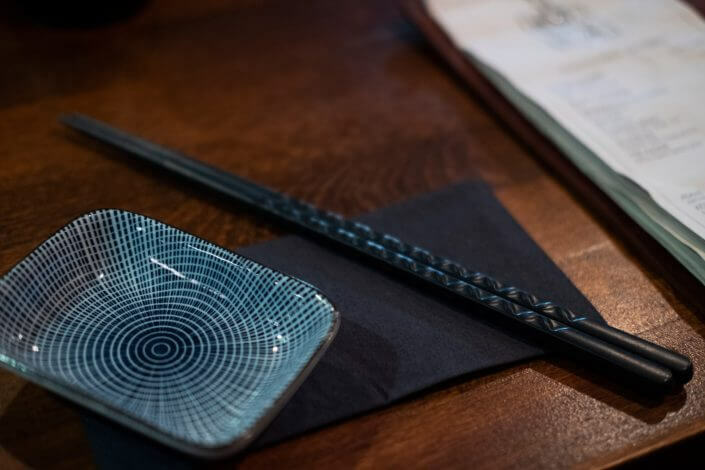 Zen opened in the Lindenthal area back in 2014, offering “a modern twist on Japanese dishes coupled with traditional artistry to produce Japanese cuisine for today,” as the website has it. 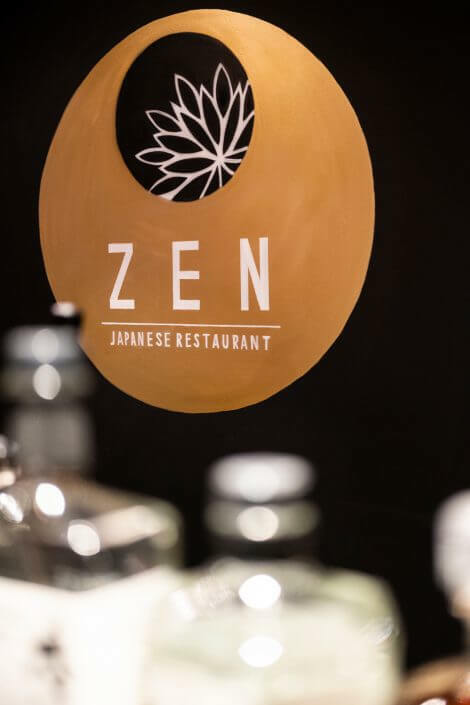 In early 2019 Zen opened a second restaurant on Aachener Straße, close to Rudolfplatz. Both spaces are stylish, with an authentically Japanese feel to them. The Lindenthal location is calmer, while the new city centre space scores higher on the hipness scale, with a noise level to match. 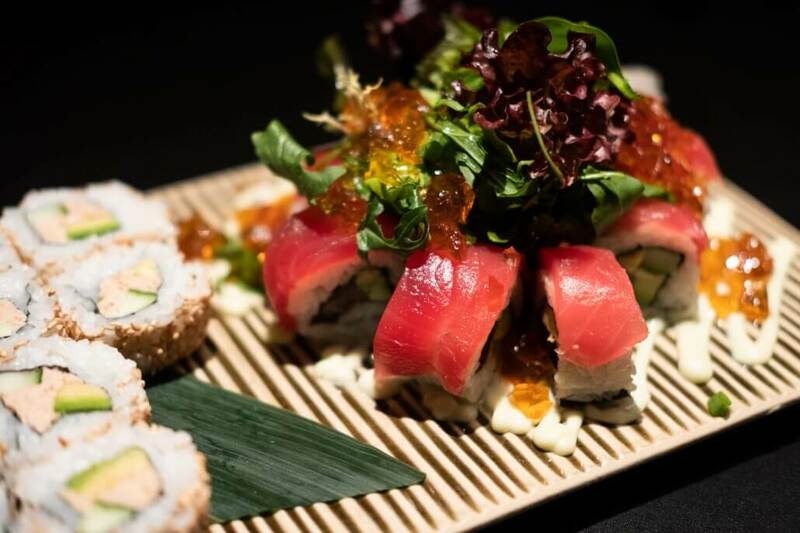 That said, both sites are identical in that they both serve outstanding-quality innovative sushi variations, with only minimal differences in the dishes offered. While the menus aren’t long, they feature unusual items such as cold edamame in sesame oil. My personal favourite is the Cherry Blossom roll which is stuffed with tuna, little gem lettuce, yuzu lemon and wasabi mayo. Booking strongly advised! 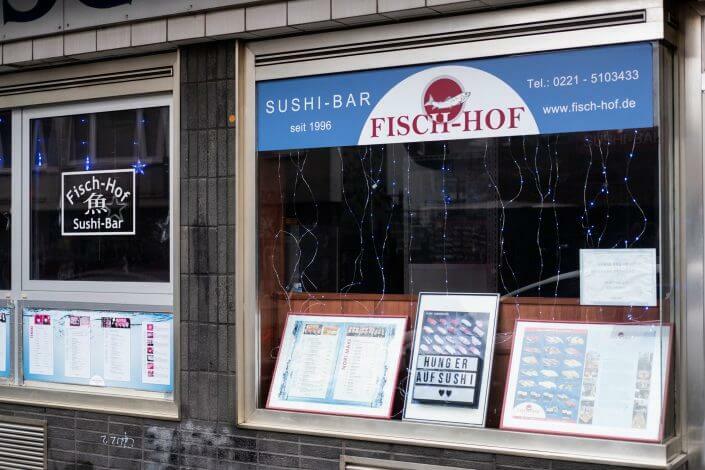 In the heart of the Belgian Quarter is Fisch-Hof, an unassuming restaurant at first glance that originally opened in 1996 as a fishmongers with a sushi bar attached. 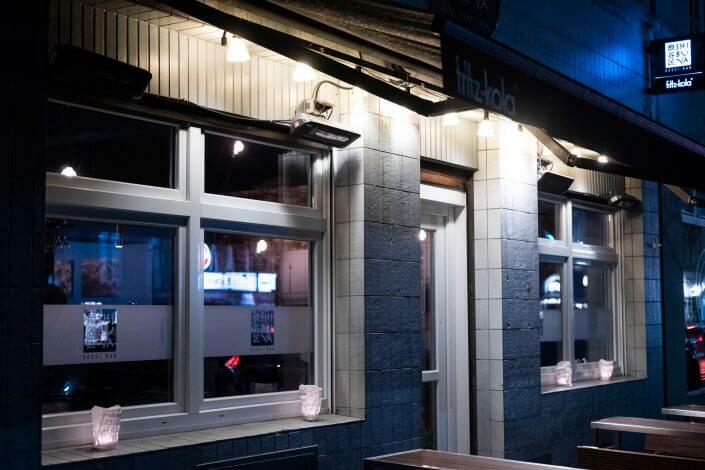 Fisch-Hof has become well-known across the city thanks to both its repeated TV appearances and its high-quality, moderately priced sushi. 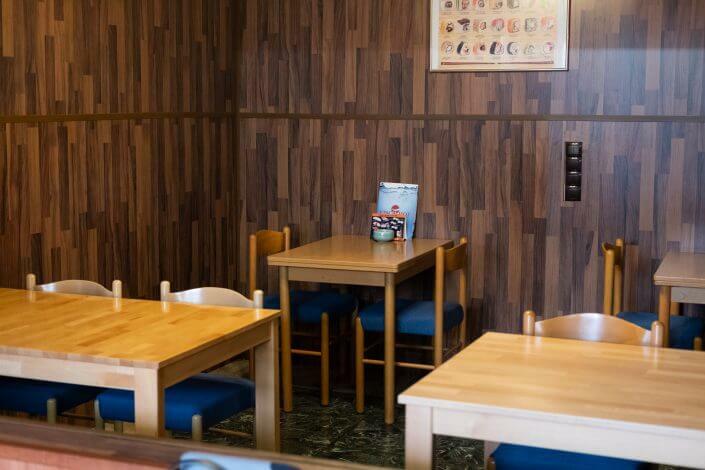 The interior is simple and traditional, with lots of wood panelling. 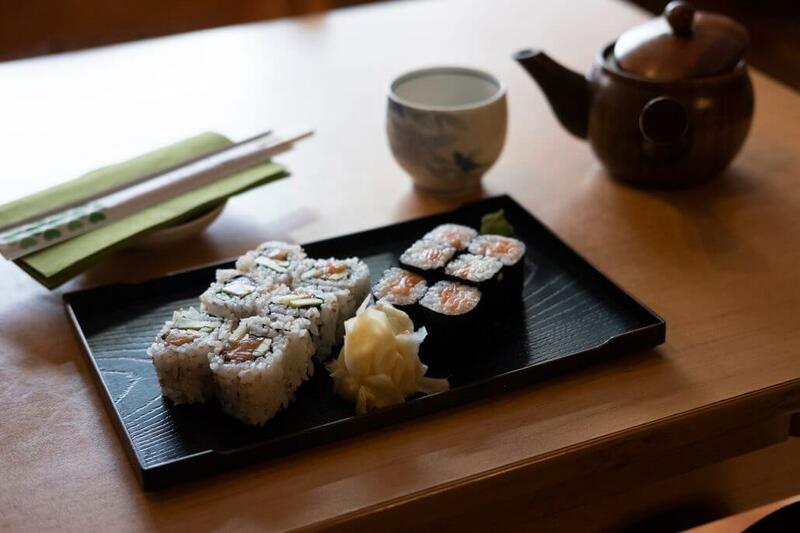 The sushi is fresh, prepared before the diners‘ eyes behind the counter. There’s a traditional range of maki variations on the menu, plus a number of affordable lunch menus. While the fishmonger’s is no more, Fisch-Hof also sells sushi equipment for customers who’d like to try their hand at sushi at home. 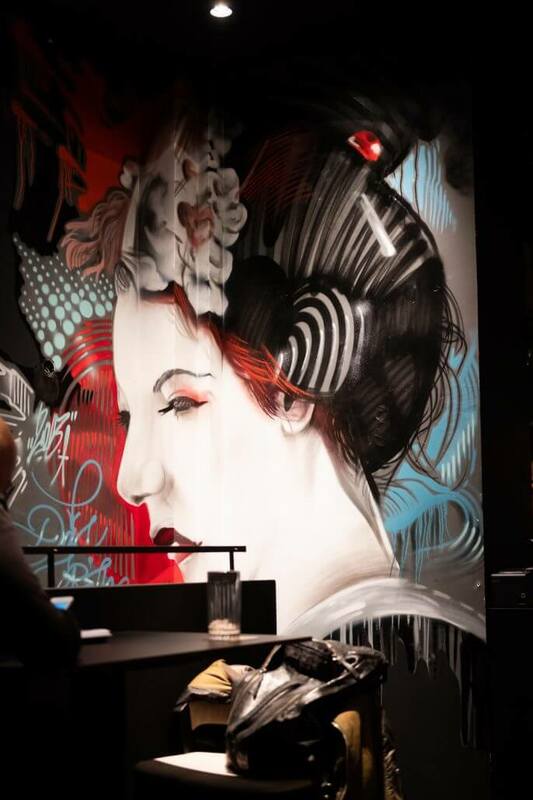 Shibuya is not just a world-famous trendy district in Tokyo, it also lends its name to this joint in the Nippes neighbourhood, which serves good, innovative and attractively presented sushi. Shibuya enjoys a central location on Neusser Strasse and is easily reachable by public transport or car. The menu offers special creations rather than a full range of classic maki, served in a simple and modern yet cosy atmosphere. Shibuya’s special rolls, such as the popular Rainbow Roll with tuna, cucumber, cream cheese, avocado and mango wrapped in salmon, are served on slate slabs. In short, Shibuya is definitely worth a visit. 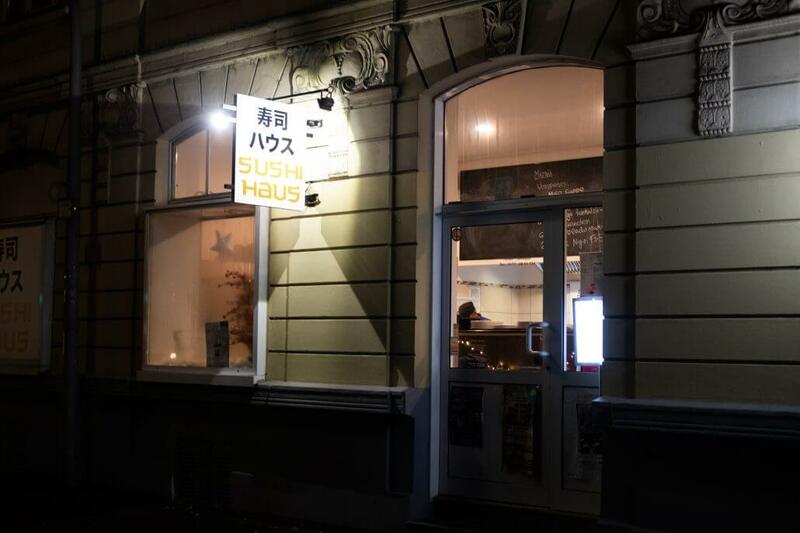 If you’re feeling a bit hard up and don’t mind dining in simpler surroundings, swing by one of Sushihaus’ three spaces in Mülheim, Deutz and Porz. I’m a repeat customer at the Mülheim and Deutz branches and while the spaces are small and rather spartan, they are comfortable and clean. They all operate with the same extensive menu, with all items tasty and freshly prepared. 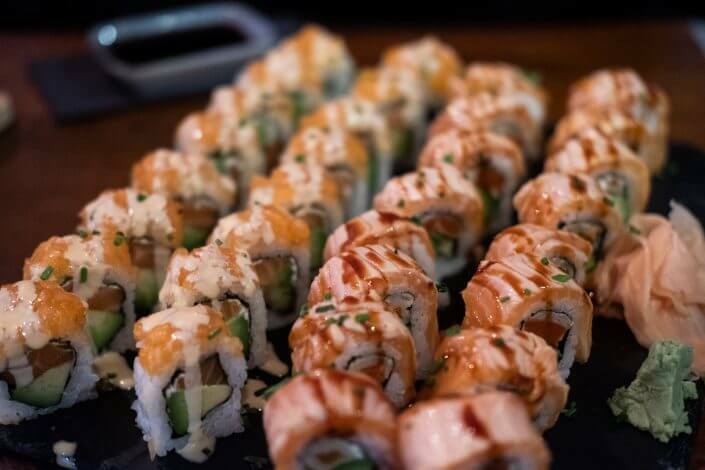 The list features stalwarts such as California roll, but also less typical items such as a Mozzarella Roll and a “Fitness” roll with Philadelphia cream cheese, salmon and avocado. The Deutz and Mülheim sites also offer a all-you-can-eat option for EUR 24.90, available from 5 to 9 pm every day. Opening hours vary by site. Check website for details. Yet the best is missing, which is Momotaro.